In the run up to this year’s Super Bowl, US snack company Frito-Lay launched a limited run of microchipped bags of tortilla chips, supposedly capable of sensing alcohol on a user’s breath and, if instructed, calling them an Uber home. It was a stunt to grab attention but the use of interactive, intelligent packaging is not a futuristic fantasy. Already, you can find olive oil and craft beers connected to the cloud and ready to report on their origins to any passing punter with a smartphone. In the extra virgin olive oil sector, where as much as 70% of the product sold is thought to be fake, a group of producers is working with Norwegian technology firm Thinfilm to fight the counterfeit trade, by embedding tiny chips that can communicate with smartphones behind the labels on bottles of their premium product. 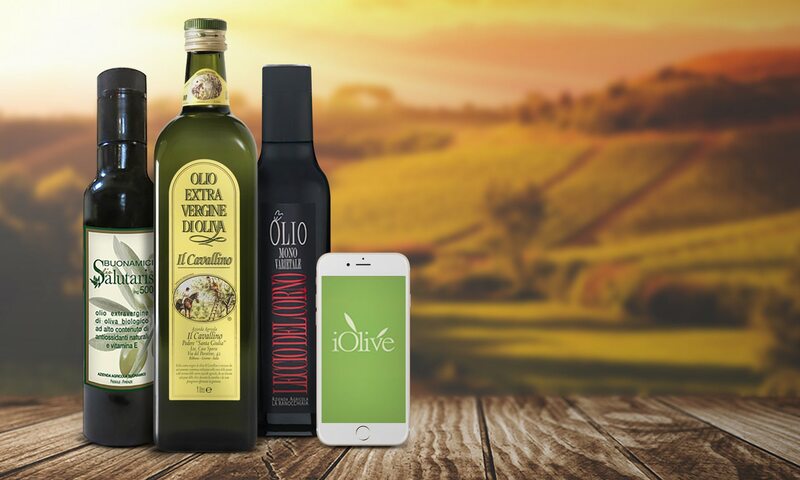 Using the iOlive app, buyers can see where the olives in the oil in front of them were grown and bottled (unless of course the original oil has been poured out and replaced). This kind of interactive packaging isn’t new: scannable codes that can be used by consumers to find out more about the products they are buying, such as the farm their eggs came from, have been in use for some time. But smart packaging, as it has become known, has gathered pace in recent years, and is predicted to be worth $52bn (£40bn) by 2025. As well as printed codes, other technologies include electronic chips of the kind used by iOlive and Frito-Lay, and RFID (radio frequency ID) tags, to date found mostly in supply chain logistics. In the future, spray-on electronics technology – currently at research stage – could be used in place of the chips, making it easier to integrate with plastic and paper packaging, while Bluetooth tags could actively push information to enabled smartphones. For proponents, internet-connected packaging promises a range of benefits: greater transparency, more efficient logistics, even an easing of household burdens. “There’s absolutely no reason why you can’t scan your ready meal and have that tell the microwave what setting to put it on,” says Andy Hobsbawm, co-founder of smart products company EVRYTHNG. But embedding electronics into our everyday packaging also raises questions about disposal. “The challenge with packaging made from multiple materials is that it’s really difficult to separate and recover it – it’s a very energy intensive process,” says Dustin Benton, acting policy director at environmental thinktank Green Alliance, which recently published a report on the long-term recycling challenges associated with novel materials. Benton says it’s crucial for packaging designers to communicate closely with recycling bodies, to make sure products are fit for recycling. For example, keeping electronic chips in bottle sleeves or in caps could make it easier to separate out potential contaminants, he says. Thinfilm founder Davor Sutija claims to have answered some of the questions around the environmental impact of smart packaging. The company avoids using silicone – refined using a high-energy process – in its tags, and has instead invested in a new method of printing on to recyclable strips of thin steel, which he says are the thickness of human hair. Hobsbawm also says that, in an ideal world, smart packaging tags could help boost recycling rates by carrying information on what materials have been used in particular products and how to recycle them. Aside from recycling, it is not clear the technology is needed or wanted by consumers. Retail analyst Bryan Roberts, global insights director at market research firm TCC Global, says there is a gap between the perceived interest that consumers have for this type of new technology, and the actual interest when it’s launched. Price is also a barrier, he says. The near field communication (NFC) tags used by Thinfilm, for example, come out at around 12p per unit for the average order, according to the company, although it expects this to fall to 10p with new manufacturing methods. “As things stand, NFC is still slightly too pricey to make it a viable component for many manufacturers,” says Roberts. There is also the question of whether electronics are necessary at all. Hobsbawm says the more basic and cheaper QR codes – printed on paper and therefore easy to recycle – can achieve the same connection between packaging and the cloud as any of the more sophisticated products. The codes can also be read by any phone equipped with the right software, while NFC tags don’t currently work with iPhones, except through Apple Pay, he says.